The other day my sisters and I decided to go for a walk with the kids around our favorite regional park, Spring Lake in Santa Rosa, CA. 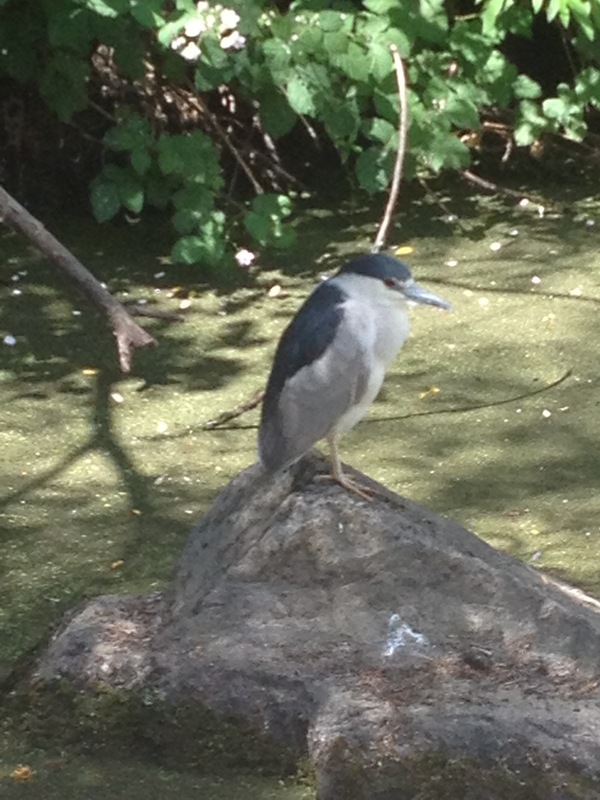 Much to our surprise we discovered this beautiful bird, a Black-crowned Night Heron standing like a statue right by us! Our Dad, an avid bird watcher should have been with us. I know he would’ve been proud of our new bird watching skills!